Organizational software process improvement offers a key opportunity for organizations to become more efficient. However, most of time implements software process improvements initiatives in organizations become a path full of obstacles mainly because stakeholders feel it as an imposition of anybody processes and its implementation as a threat of their jobs. As a result, most of the time the effort in the implementation of software process improvement fails, stakeholders feel frustrated and organizations are more convinced than ever that they must continue doing their work as before even when they do not have the expected results in their job performance. 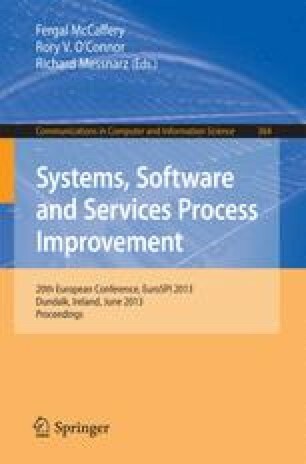 This paper presents an overview of how can be involved stakeholder throughout the implementation of software process improvements so that they feel key elements in order to have a successful software process improvement initiative. Therefore the new processes are perceived as own and their adoption as an evolution of their job that helps them to be more efficient and to have a better job performance.